‘My Holiday Wifi’ is the perfect short-term Wi-Fi rental for your holiday in Spain. You can rent by the week, take it anywhere, get it delivered to you, and connect the whole family. Running directly on the largest operators network in Spain, we feel confident that you WILL have the best possible coverage in Spain during your holiday. Connect up to 10 devices from one access point. There is no additional charge per connected device so the whole family can enjoy Wi-Fi at the same time. Can't I just use free WiFi hotspots? Of course you can, but when connecting to an open network you need to take into consideration the stability, speed and most importantly your personal security. Also free WiFi hotspots do not enjoy the freedom to take the connection with you! Isn’t roaming getting cheaper for everyone? If your mobile is from within the EU, you will now be charged the same amount for using your data and minutes abroad as you would be at home. However, not having a home Wi-Fi connection will push up your data usage unexpectedly, and this will cost you extra, with excess data charges being notoriously expensive. Check with your current provider regarding roaming if you’re not sure, as different rules may apply depending on your provider and contract. 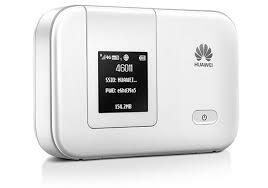 You may also need the extra speed from our routers to watch videos and make video calls. These mobile routers run on a 3G/4G network, so you can take them anywhere with you. With the network supplied through Spain’s biggest operator, you simply cannot get better coverage. It couldn’t be easier! Your device has it’s password and wlan name included in the box. Besides the option of using password protected wifi, the device also supports WPS for automatic configuration. What if my hotel offers Wi-Fi? Quite often they do, but they will likely charge you for it, and you will be sharing the bandwidth with everyone else in the hotel. A personal router will be much faster and, by not sharing with anyone else, you can be sure the connection is secure. But our rented house already has Wi-Fi? If you are lucky, it is good enough for your expectations. If you find that it is slow or unusable, we can usually organise a last-minute rental, so get in touch. No. Of Weekshow many weeks would you like to rent for? *Please note there is a €12.09 surcharge for delivery on Saturday.